By Farwa Khalid (Researcher on women rights & Advocate Rizwan Lashari from RightsNow Pakistan). 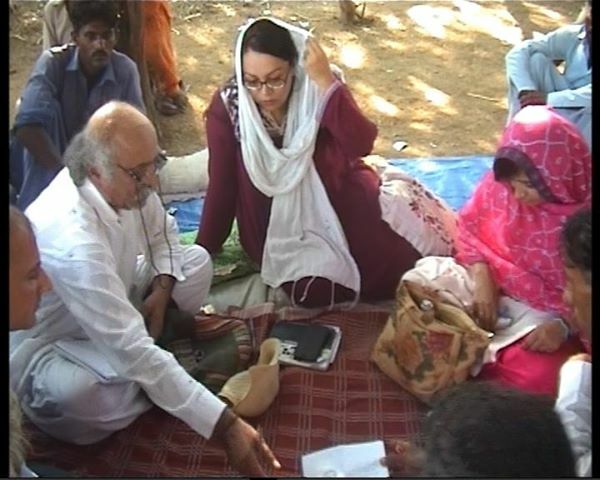 On Sunday 27-October-2013, a delegation of human rights activists, writers, lawyers, journalists, women rights defenders, academia, retired judges and other civil society actors from both Karachi and Hyderabad went to Pangrio, district Badin to light candle at Bhooro Bheels’ grave and to show solidarity with Bhooro and his family. The gathering and presence of civil society actors at Bhooro Bheel grave not only helped to raise the level of confidence of Bhooro’s family, his community, but all those liberals and moderates of pingario and Pakistan. -Family was found extremely sad, scared and in trauma. However, their situation of security and feelings improved by the visit of delegation. -Tears were trickling down from the cheeks of Bhooro’s father. Loss of Bhooro Bheel irreparable for his father and then later what happened to his grave deeply saddened his family. •	Bhooro’s death occurred to his severe road accident which happened two days before his death. He was in coma continuously two days due to severe injuries. All the hospital’s expenses were fully borne by local Zamindar and head of village village Mir Haji Masood sahab. Bhooro left this world on on 05-10-2013 and then Bhooro was buried at Haji Faqeer graveyard. As the members of Bhooro’s community started digging the grave, three people came there and they forbad them and issued them threats of dire consequences if the dead body was buried. As according to Mukhi, graveyard is of both Hindu and Muslim. This is the graveyard where their ancestors are buried. •	While they were on their way, the same people came and issued threats to the family and community of Bhooro. •	Bhooro’s family went to police station to report but SHO did not act on this complain. •	Later those who issued threats, dug the grave of Bhooro Bheel and humiliated the dead body. •	At night time, a crowd led by few extremists, announced on speakers to dig out the grave of Bhorro and threw it out of grave yard and the next day they did. Those were involved in this act were armed while digging the graveyard. Family of Bhooro Bheel and his community was helpless and was waiting for SHO’s action, whom they reported about the issue and threats. •	Later SP Badin was informed by the community and family of Bhooro Bheel but he also did not respond to the situation and asked the family and community to leave the matter and re bury the body at some other place. .
At night they could know about this incident. After this entire act SP came at graveyard on call of Hindus. SP said we are peace loving (harmonious) people, we don’t want any conflicts leave this matter. Later on request of Bhooro’s family, the dead body was buried in the land of Mir Haji Masood Sahab who gave 4 acre piece of land for Bhooro’s grave and grave yard of Hindus. A judicial committee is formed which inquire into the matter. Bhooro’s family wants justice for Bhooro and his community and want to live with other in peace and harmony. Those who were members of the delegation included: Justice retired Salahuddin Mirza, Abrar Qazi, Mustafa Baloch, Javed Qazi, Kaleem Durrani, Ishaq Mangrio, Saif Samejo, Nazir Qureshi, Amar Sindhu, Arfana Mallah, Zarina Nawaz, Jaffar Memon, Mahesh, Fehmida Jarwar, Quratulain Mirza, Nobahar Wassan, and other Civil society members also visited. Libya is currently emerging from a political transition after the end of 40 years of autocratic rule by Muammar Qaddafi’s regime. In this context, the country is continuing to grapple with a very high level of political uncertainty, lack of functioning institutions and a very nascent democratic political culture, as well as intra and inter-tribal issues and local level conflicts involving armed groups and militia. Despite the end of official hostilities, the situation in the country remains volatile. Nearly two years into the transition, state’s security forces still do not exercise control over the majority of Libyan territory and the revolutionary brigades, resulting in a dangerous vacuum, rising crime and instability. At the same time, following the successful elections of the General National Congress in July 2012, elections for the Constitutional Drafting Assembly are due in late 2013 and will pave the way for discussions on the new constitution. A National Dialogue process was launched by the Prime Minister in August 2013 in order to tackle a range of long-standing issues and to reduce instability in the country. Proposed reforms to local level governance (including the forthcoming local elections) offer entry-points for strengthening democratic governance at the grassroots. Likewise, efforts to reform state administrative and security institutions provide a chance to rebuild state institutions which serve the people. Following the end of the crisis, UNDP re-adjusted its programming to respond to the immediate needs of the transition. UNDP’s programming is now guided by an amended Country Programme Document (2012-2014).The new CPD is anchored on five major pillars: (1) Active participation of citizen in the democratic transition of their nation; (2) Central and local government authorities strengthened to provide better public services to citizen; (3) Libya to successfully manage its transition to a state founded on the rule of law; (4) livelihood opportunities and economic recovery for durable social reintegration, peace and stability; and (5) national environment management systems addressing desertification, biodiversity conservation, water management, pollution and climate change strengthened. Within the existing UN operating frameworks in Libya, UNDP is committed to providing conflict sensitive programming support to Libyan counterparts in their efforts to develop and implement their own peace building and development priorities. To this end, UNDP is now seeking to recruit a Peace Building Advisor, who can provide direct advisory and technical support to the UNDP Country Director on entry-points and strategies for conflict-sensitive engagement, as well advise existing Project teams – in particular working within on CPD Pillar 1 on political governance – on approaches to supporting activities with CSOs and local and national government partners which contribute to peace building. Establish and strengthen strategic partnerships with key national stakeholders, regional and international actors and development partners. Identify and engage civil society actors in the peace, development and governance agenda supported by UNDP. Support the UNDP Country Director in mobilizing resources for peace building and conflict prevention initiatives. Strengthened capacities for dialogue, social cohesion conflict prevention, confidence building. Proven ability to incorporate into his/her work relevant international practices. Capacity to work under pressure, manage stress and adapt to rapidly evolving situations. Advanced university degree (Master’s Degree) in political science, sociology, international relations, international economics, law, public administration, or other related social sciences. Proven experience in dialogue, conflict prevention and civil society initiatives. Experience working within a UN agency and experience in the Arab States region would be a major asset. Language Requirements: Fluent written and spoken English, and Arabic. How Jihad is being misunderstood and misused in Pakistan can be judged from this and such other incidents. This incident has shocked moderate Pakistanis beyond measure who are recalling Sindh, the land of sufis, land of Qalandar Shahbaz, Bhit Shah, Sachal Sami and other sufis and poets who spread the message of tolerance, peace, love and coexistence. This incident has also moved sensitive segments of the society who think the threat of extremism is increasing and there is no willing Pakistani state or the government which keeps check on it or take steps to control this negative trend. 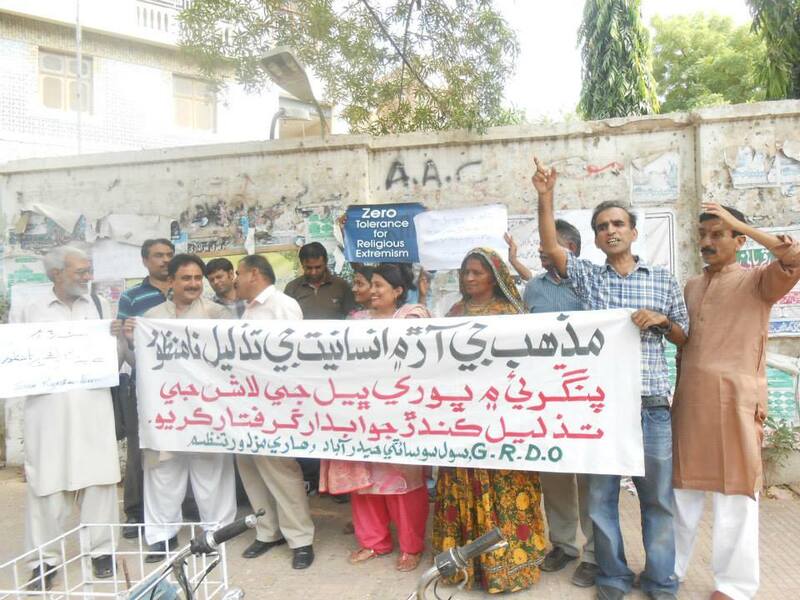 Social scientists are seeing the Pakistani society retrogressing. They think poverty, illiteracy, conflict with neighboring countries, State patronage to religion, and Pakistan’s proxy wars in Afghanistan and wrong policies of Pakistani establishment and agencies are contributing intolerance and extremism in the society where tolerance and nonviolence, which was once built in values of province like Sindh are depleting. 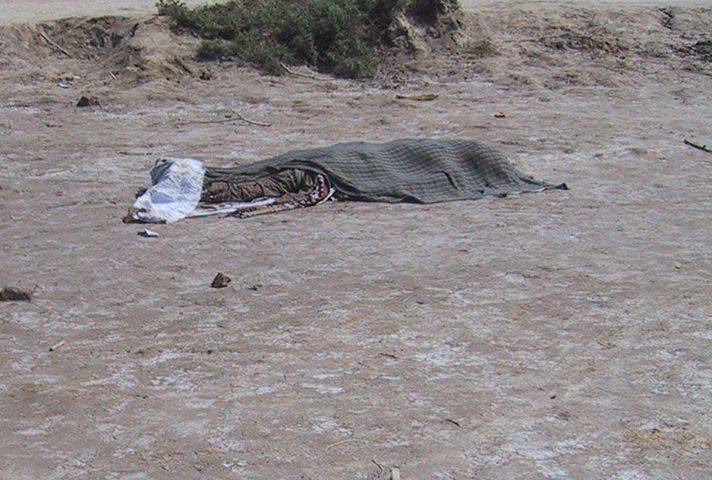 …Bhooro Bheel’s corpse is my dead body….I am dragged from my grave by Sindhi molvis …( religious fundamentalists) with common Sindhi people supported them….though I am buried again but my corpse feels as it is on road, in streets till centuries ……my dead body was dug out and thrown because i was non-Muslim ……………Has anybody dare to tackle this issue? Political scientist are attributing all this to wrong state policies and seeing worse situation for religious minorities in coming days. Lawyers, journalist and other civil society actors are trying hard to deal with such situation but unfortunately they do not sufficient resources, state support. NGOs from provincial capital and others parts of Sindh and Pakistan visited the place of incident, met Bhooro’s heirs bereaved community and expressed their solidarity with the Bhoor’s family and raised this issue in media but the follow up in this issues and addressing this problem forever is an important question which needs answer. Despite the fact, RightsNow Pakistan highly appreciate the response of NGOs, media, lawyers and civil society actors on this incident. Pakistan, a country of about 180 million people has all kinds of minorities (religious, ethnic, linguistic, sexual). Among religious minorities are Hindus, Sikh, Christians, Sikh, Parsis, and may be some Jews. Due to insecurity, lack of protection, high level of threats, Hindus have started leaving for India. Christians and Ahmedis are seeking asylum in other countries. Other religious minorities are facing the same situation. Pakistan, where Guru Nanak Dev, founder of Sikhism was born at Nankana Sahib. He was equally respected by Muslims, Hindus, Sikhs and other religious minorities living in Pakistan. When Guru passed away, the local Muslims, Hindus, and other religious communities actively participated in his final rites. Where are those days gone? Said a Hindu business while commenting on the incident of Bhooro Bheel. 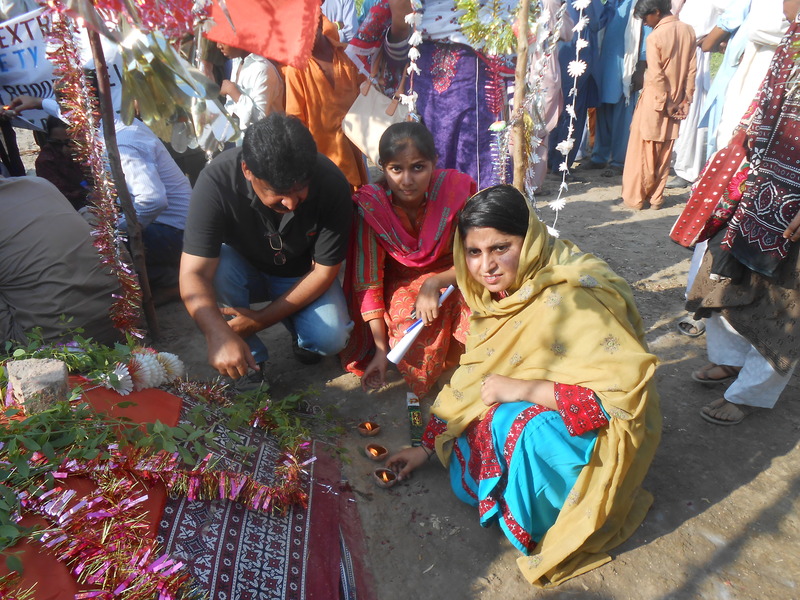 Sindh, southern province of Pakistan, is home to most of Pakistan’s Hindus whose approxmate number is 2 million among a population of 180 million. Sindh where Muslims and Hindus once lives in peace and harmony but Pakistan’s rocky relationship with neighboring India, a predominantly Hindus country, has fed tention between the two communities. Digging up Bhooro Bheel grave, throwing it away on the road, is one of the menisfestation of tension between Pakistan and India. The effects of this conflict have reached to a remote place, small town like Pangrio even. All citizens are equal citizens as promised in the Constitution of Pakistan and their protection is primary responsibility of the State. It seems Pakistani State is not only unable but also unwilling in fulfilling its responsibilities. In this case, the responsibility of Pakistan civil society, media, legal fraternity and international community increases. There is strong need of a discourse and dialogue to find the causes of increasing intolerance against religious minorities in Pakistan and their redress. There is strong need being felt in Sindh and Pakistan that international community seriously engage Pakistani state/government on issues of religious minorities and seek its commitment and sincerity in addressing their issues. 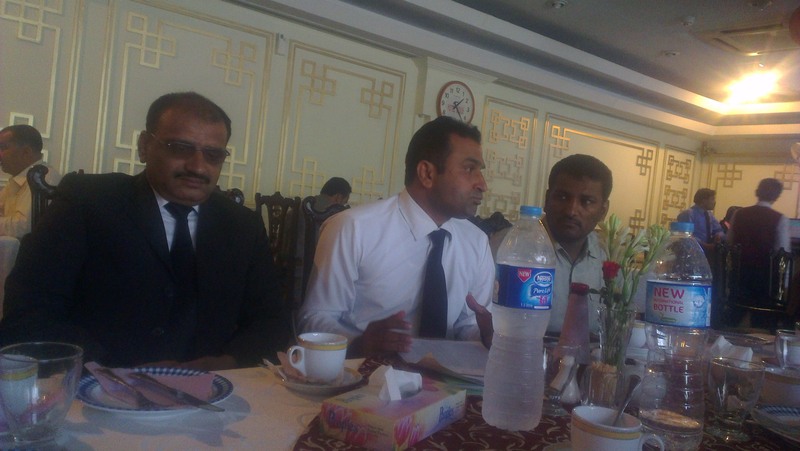 It is also responsibility of international community and donors to build the capacity of Pakistan legal fraternity and civil society which should come forward in such situation to protect the rights of their fellow citizens, particularly when the state has failed to act in this regard.